As the capital city of North Carolina and a part of North Carolina’s famous “Research Triangle,” Raleigh has a great need for quality business security systems. Fortunately, for reliable security services in Raleigh, N.C., there’s Intellicom. Intelligent Access Control – Lock and key security systems are outdated and easy to bypass, and security guards are expensive, fallible and cannot be everywhere at all times. Our intelligent access control systems let you control exactly who goes where in your facility and when, and they’re designed to thwart potential hackers trying to beat the system. 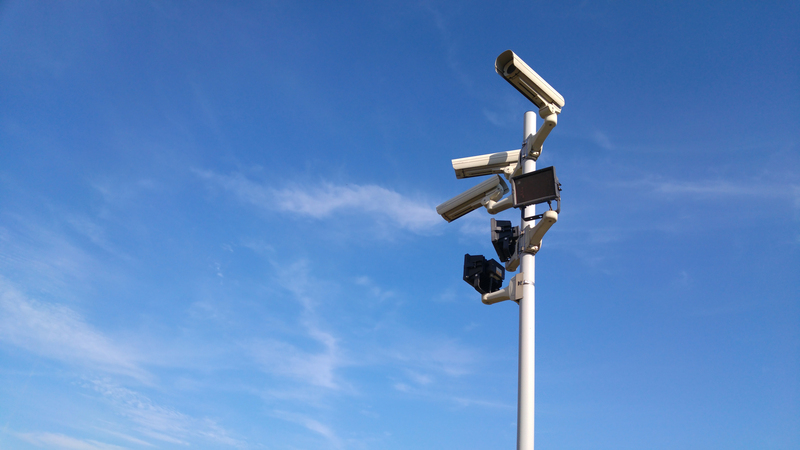 Video Surveillance – High-definition video cameras we strategically place around your facility can deter unwanted intruders and let you know fast if someone has breached your facility so you can take quick and decisive action. Combined with 24/7 monitoring, both you and the authorities can know almost instantly if you require intervention. Alarms – Alarms and sensors can provide an added level of security, protecting areas and assets that are difficult to secure by other means and issuing an unmistakable warning to intruders that will scare off most offenders and alert the entire facility to the attempted intrusion. In addition to great security, Intellicom is the company to call for data center services, AV services and structured cabling in Raleigh. As the leader in providing commercial communications systems in North Carolina, you know we are a company you can trust for all of your businesses’ telecommunications needs. Our advanced systems and expert engineers can streamline your communications and data systems to optimize your workflow and boost your bottom line. If you’re ready to protect your business and enhance your company communications with the best telecom and security company in the Raleigh, N.C. area, all you have to do is contact Intellicom now. Intellicom is happy to provide free design services for your business. Please fill out the information below to get started!